Personalized marketing and digital coupons that deliver results for grocers. 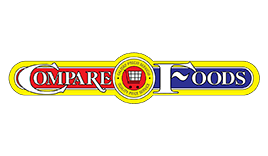 AppCard is a powerful personalized marketing and shopper analytics platform that enables grocers to instantly capture and analyze data that generates a clear picture of shopper behavior. Using advanced proprietary algorithms and artificial intelligence, AppCard takes the guesswork and complication out of grocery store marketing. For today’s grocer, basic loyalty programs aren’t enough. Two-tiered pricing should serve a purpose. Most traditional loyalty programs offer members a cheaper price, but if you don’t receive the true benefit of data collection, then you’re just handing out discounts. AppCard goes beyond two-tiered pricing to provide 1:1 marketing campaigns and powerful real-time analytics tools that help you instantly identify top shoppers and earn their lasting loyalty. Each week, your shoppers receive an e-mail with personalized digital coupons based on past purchase behavior. AppCard remembers which items your customers previously bought and sends them coupons for these items, or related items, to keep them coming back. Your customers save money, you retain their loyalty. It’s a win-win all around. With the AppCard Touch Screen Terminal, customers enroll into your loyalty program by entering their phone number or by swiping a loyalty card. Customers can enter their email address and can choose to receive a digital receipt via text message. The dual sided terminal displays the rewards balance for both the customer and the cashier. Customers can choose which rewards they’d like to redeem and which rewards they’d like to save for their next visit. Unlock the power of your POS. 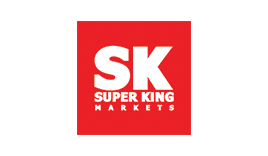 Discover how Super King Markets uses targeted communications from AppCard to increase sales on high-margin products at their seven locations. The smart marketing solution for independent grocers. AppCard’s powerful platform and expert support empowers small- to mid-size grocers to compete with the big guys by creating effective personalized marketing campaigns and gain the benefits of advanced analytics. Automatically capture SKU-level data from 100% of transactions without slowing down the check-out process. Segment your shoppers and launch highly targeted marketing campaigns to change shopper behavior and achieve your goals. Design your AppCard app storefront to fit seamlessly into your store’s branding as you deliver digital rewards, offers and receipts directly to shoppers. AppCard builds detailed shopper profiles and uses artificial intelligence to predict frequency of visits, spend, and other important behaviors. Print fully branded loyalty cards for a small fee or distribute the AppCard-branded cards at no cost to you. Receive unlimited support and services from our team of data scientists, graphic designers and your own dedicated Success Manager to create grocery store marketing campaigns that drive results. Personalized digital coupons made easy. We aggregate digital coupons and deliver them to your shoppers based on their buying behavior. A non-POS integrated approach to personalized marketing and shopper analytics. Send the right offer to the right shopper at the right time. The most advanced fully integrated personalized marketing and shopper analytics platform for independent grocers. A powerful customer retention program at a price that makes sense for your business. AppCard’s transparent pricing structure enables you to start gaining valuable insights right away and accurately manage your marketing budget each month. Cloud-based data storage on a single platform allow you to easily manage campaigns across multiple POS systems and scale up without interruption as your business expands to more locations. 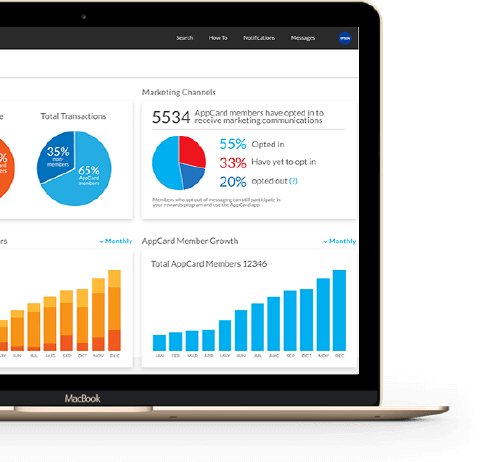 AppCard puts you in control of your marketing spend and delivers measurable ROI on your rewards and loyalty initiatives.